Before I decided to do any permanent hair removal treatment on my own, I talked with a friend of mine who is a dermatologist. She recommends that the skin, before going under a permanent hair removal session, it must be prepared for the following treatment, so that the treatment will work more effectively. How do you do that? Well there are some important steps you need to go through in order to be safe and to get the best results from the treatment. 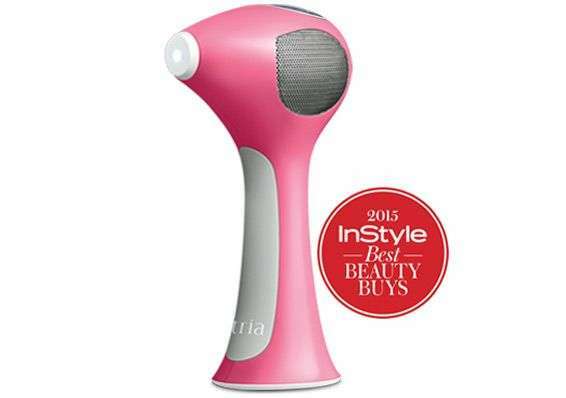 As I said on my other post, the first hair removal device that I used was based on IPL technology. For the time when I used laser technology on my hair follicle I basically prepared my skin the same way I did for IPL and I had the same result with no side effects whatsoever. No plucking or waxing for a month before the IPL or laser sessions. This doesn’t mean you’re not allowed at all to remove your hair( that will be a nightmare for any woman). You can remove your hair ONLY by SHAVING. Stay away from the sun at least 2 weeks before the treatment so your skin won’t get tanned. The darker the skin the less efficient is the treatment. The whiter the skin the better. Do not bleach your hair before the procedure, again it will lower the efficiency of the device. Before any laser or IPL session I shaved my hair the night before or 2 days before. It is recommended that the hair has a growth of 1 to 2mm. Clean the area you want to treat and make sure you have no lotion or cosmetics on your hair or skin. You can wash it simply or clean it with a antiseptic wipe, it’s your choice. The only cream you can use is a numbing cream if you have a lower tolerance for pain ( some people use it some don’t ). You should wear protective glasses for laser hair removal . Even tough some people disapprove I would say they are a must. They protect your eyes and if the googles are used it in a salon clinic then for sure I’ll use it at home. They are not expensive at all. Use a cooling gel after the treatment. It will reduce the heat applied on the skin from the hair removal sessions. I use Tria Smoothstart and my sister uses a gel based on aloe vera ( can’t remember the brand exactly). Again, do not wax or plug the hair, just shaving before any treatment. Avoid the sun at least 2 weeks after you had a hair removal session. If you really can’t avoid it than make sure you use a sunscreen with high SPF for protection to avoid the skin getting burned or pigmented. Make sure you do the same as I did and I guarantee you, you will get the results you want from a IPL or laser hair removal device.